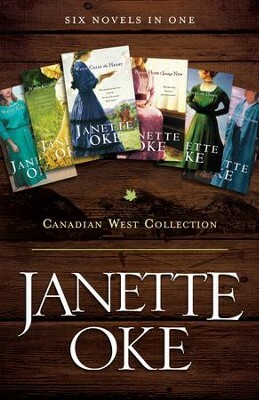 Bestselling author Janette Oke (pronounced "oak") is celebrated across the world for her significant contribution to the Christian book industry. She is credited with launching the modern era of inspirational fiction with the publication of her first novel, Love Comes Softly, in 1979. Today, her novels have sold more than 30 million copies, and she is the recipient of the ECPA President's Award, the CBA Life Impact Award, the Gold Medallion, and the Christy Award. Janette and her husband, Edward, live in Alberta, Canada. I'm the author/artist and I want to review Canadian West Collection: Six Novels in One - eBook.